The San Fernando Valley gives and gives. Today, a photo of Herbie. 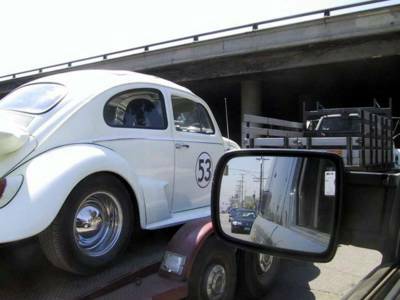 The original Herbie the Love Bug was the first movie I saw twice. Before that, I didn't realize you could see a movie twice. The power of complete all knowingness made it even more enjoyable the second time.